In the absence of legislation to turn Medicaid into a block grant program, the U.S. Department of Health and Human Services is talking to some states about granting waivers that permit them – voluntarily – to turn their individual Medicaid programs into block grants. 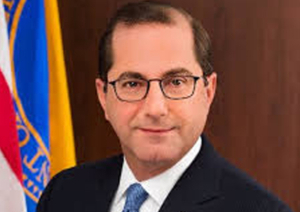 HHS Secretary Alex Azar acknowledged this last week during a hearing of the Senate Finance Committee. He did not disclose which states, or how many, with which HHS has had such discussions and he also noted that his staff is talking to state officials about waivers to permit them to adopt Medicaid per capita spending limits. NASH has long been concerned about any effort to impose artificial limits on state Medicaid spending; such limits could be especially harmful to private safety-net hospitals because they care for so many Medicaid patients. NASH’s most recent expression of this concern can be found in its 2019 advocacy agenda. 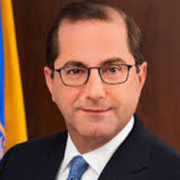 Learn more from the article “Trump health chief reveals talks with states on Medicaid block grants,” which can be found in the online publication The Hill. States that seek federal waivers for permission to employ new approaches to serving their Medicaid population will have to pass more rigorous tests to ensure that those new approaches are budget-neutral, the Centers for Medicare & Medicaid Services has announced. ….this letter marks the first time that CMS has formally outlined how states must calculate budget neutrality for demonstration projects, in order to strengthen fiscal accountability. The guidance also comes a day after Administrator Seema Verma testified before the Senate Homeland Security and Government Accountability Committee on improper payments in the Medicaid program, which often result in higher federal spending. 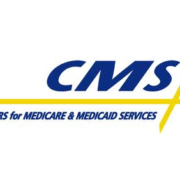 See the CMS news release on its revised approach to determining Medicaid waiver budget neutrality and go here to see CMS’s letter to state Medicaid directors on this subject. Medicaid Changes: More Than Just Work Requirements Coming? While the green light for state applications to impose work requirements on their Medicaid recipients is receiving all of the attention, the Trump administration has issued guidance that appears to pave the way for other major changes in the Medicaid program as well. establishing closed drug formularies for their Medicaid population. Learn more about how the foundation has been laid for such changes if states are so inclined to pursue them and the implications of such changes if they are implemented in the article “State Waivers as a National Policy Lever: The Trump Administration, Work Requirements, and Other Potential Reforms in Medicaid, which can be found here, on the Health Affairs Blog. https://safetynetalliance.org/wp-content/uploads/2018/09/nasnh-logo.png 0 0 NASNH Administrator https://safetynetalliance.org/wp-content/uploads/2018/09/nasnh-logo.png NASNH Administrator2018-02-09 06:00:542018-02-09 06:00:54Medicaid Changes: More Than Just Work Requirements Coming? MACPAC’s deliberations are important to private safety-net hospitals because those hospitals serve so many Medicaid patients. While MACPAC’s recommendations are binding on neither the administration nor Congress, it is a respected source of insight and ideas and its recommendations often find their way into future regulations, legislation, and policy. A New Use for Section 1115 Medicaid Waivers? Historically, states have pursued section 1115 Medicaid waivers as a means of expanding Medicaid eligibility. But the Centers for Medicare & Medicaid Services now appears to be looking at granting 1115 waivers to help states reduce their Medicaid populations. And just last week CMS signaled states that it was now welcoming waiver applications to impose work requirements on some Medicaid recipients. In a recent section 1115 waiver application, the state of Kentucky, for example, projects that the combination of establishing premiums for Medicaid participation and locking out those who do not make their payments, eliminating retroactive eligibility, and imposing a work requirement would reduce its Medicaid population 14.8 percent in the sixth year such changes were implemented. That waiver was granted last week. 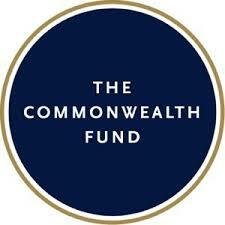 Learn more about how CMS is preparing to use section 1115 Medicaid waivers to enable states to reduce their Medicaid enrollment in the Commonwealth Fund report “State 1115 Proposals to Reduce Medicaid Eligibility: Assessing Their Scope and Projected Impact,” which can be found here. https://safetynetalliance.org/wp-content/uploads/2018/09/nasnh-logo.png 0 0 NASNH Administrator https://safetynetalliance.org/wp-content/uploads/2018/09/nasnh-logo.png NASNH Administrator2018-01-18 06:00:372018-01-18 06:00:37A New Use for Section 1115 Medicaid Waivers? 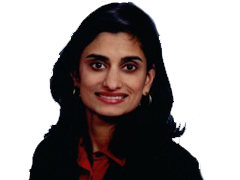 Medicaid is about to undergo major changes, CMS administrator Seema Verma outlined in a news release yesterday and in a speech to state Medicaid directors. Urban safety-net hospitals serve more Medicaid patients than the typical hospital and would therefore be affected more by any major changes in how Medicaid operates. Go here to see CMS administrator Verma’s full new release and to find links to relevant documents, web sites, and Ms. Verma’s speech about the changes. Go here to read a Washington Post report on Ms. Verma’s speech and here to see a Kaiser Health News report. 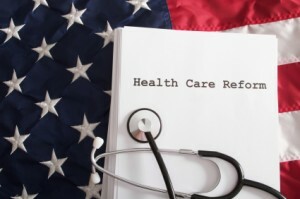 The federal government will streamline the renewal process for state Medicaid waivers for demonstration programs that are established and achieving their goals and for which major changes are not being proposed. This process is designed to facilitate faster review of and federal decisions regarding state requests to extend established 1115 demonstrations, reducing administrative burden on states and the federal government. This approach streamlines the extension process for those states with established demonstrations that are working successfully and who are not proposing to make major or complex policy changes to the demonstration. Timeframes for these reviews will be comparable to those CMS uses to make decisions on Medicaid section 1915 waivers or state plan amendments. This new approach provides for a more efficient federal review process, as well as a more effective assessment of demonstrations’ progress in promoting high quality, accessible, and affordable health care coverage to beneficiaries. The length of time such reviews are taking was the subject of two recent congressional hearings. 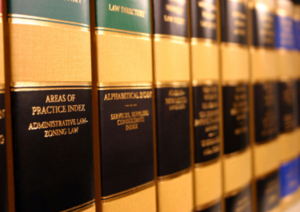 The informational bulletin outlines how waiver application renewals qualify for this new process, how the fast-track process will work, and how long the streamlined reviews should take. To learn more about this new approach to Medicaid waiver renewals, see CMS’s July 24 informational bulletin. The U.S. Department of Health and Human Services (HHS) frequently exercises the authority granted to it under section 1115 of the Social Security Act to authorize Medicaid expenditures for uses not strictly permitted under that law if those uses extend Medicaid coverage to populations not already served by Medicaid or promote Medicaid objectives. 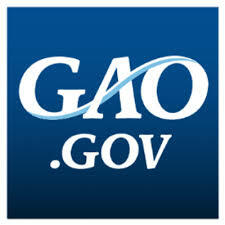 At the request of the chairmen of the Senate Finance Committee and the House Energy and Commerce Committee, the U.S. Government Accountability Office (GAO) examined recently approved section 1115 waivers to evaluate whether those waivers met the criteria for the exemptions and whether the documents HHS issues when approving those waiver requests adequately convey what the approved expenditures are for and how they will promote Medicaid’s objectives. As part of its investigation, GAO reviewed waiver requests from 25 states covering 150 programs and found that HHS lacked formal, written criteria for waivers and suggested that the agency more clearly express, in its approval documents, the objectives it expects programs to achieve in return for their exemption from some federal Medicaid requirements. For a closer look at the study and its findings, see the report Medicaid Demonstrations: Approval Criteria and Documentation Need to Show How Spending Furthers Medicaid Objectives here, on the GAO web site. While many of the states that have chosen to expand their Medicaid programs under the terms of the Affordable Care Act did so by embracing those terms, others are viewing Medicaid expansion as an opportunity to pursue wholesale changes in how they serve their low-income residents. Arkansas and Iowa have already received federal waivers to expand their Medicaid programs – exemptions from selected aspects of existing Medicaid law. Under these waivers, the states operate demonstration programs to test the effectiveness of their variations on ordinary Medicaid practices. 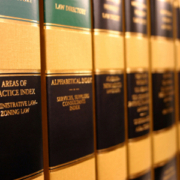 In addition to Arkansas’s and Iowa’s successful waiver applications, Pennsylvania, Virginia, New Hampshire, Indiana, and possibly a few other states are expected to seek federal waivers in 2014. Many states remain opposed to expanding their Medicaid programs under any conditions. The National Association of Urban Hospitals (NAUH) supports Medicaid expansion everywhere. Learn more about Medicaid waivers, how states pursue them, the challenges states face in pursuing them, and the kinds of innovations they can make possible in this Stateline report.